Donald Trump for President 2016! Snap up a cute tote bag with red and blue text on it and red stars. 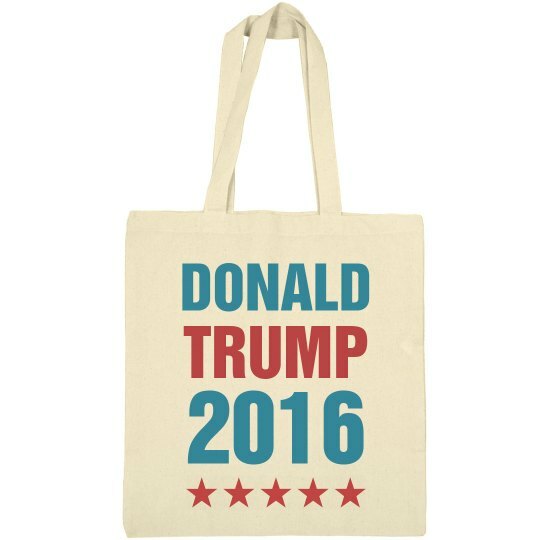 If you're voting for Trump, this tote bag is perfect for you.